Are you searching for private tutoring, test prep, or admissions consulting in the Potomac, Maryland area? If you’re looking for Potomac tutors for your child in grades K-12, you’ll find that Top Test Prep offers a range of tutoring services. For older students looking to apply to top undergraduate and graduate schools in nearby Baltimore and Washington, D.C., you’ll find an exceptional staff ready to coach you through applications and exam prep. We also offer assistance with the admissions process to Potomac’s best private schools, like The Bullis School or Manor Montessori, the first Montessori school founded in the state of Maryland. Potomac, Maryland Tutors and Test Prep Courses. A small, affluent community near the busy political center of Washington, D.C., we know that Potomac parents care about providing the very best to their children. That’s why we cull our staff of tutors from the very best colleges and Ivy League universities. Each of our tutors is trained to identify and address the needs of our students, and we’re passionate about finding effective solutions to improve your child’s academic performance. In addition to tutoring help, we also can connect you with top-notch Potomac test prep. Maryland’s public schools have been ranked #1 in the nation by several independent studies, which means this is a state that maintains high standards for its kids. Our team can help you with assistance on the Maryland High School Assessments, and we also offer support for national exams, including the ACT and SAT, as well as graduate exams, like the LSAT, MCAT, GMAT, and GRE. If you’re looking for Potomac MD SAT prep for your high schooler, rest assured that all of our tutors have all placed in the top 1% of these assessments. Our staff is enthusiastic about sharing their tried-and-tested techniques with your student. http://toptestprep.com/potomac-md-tutoring/ | Potomac, MD is the place for tutors and test prep programs, including Ivy League quality private tutors from Harvard, Yale, Princeton, Columbia, Brown, and Cornell. Our Potomac Maryland tutors are here to increase test scores and improve your chances of getting into top colleges and universities. Potomac and the surrounding area offer a number of great choices for parents concerned with making the most of their child’s education. Let us help you navigate the application process to many top Potomac area schools. Our team is made up of certified, trained professionals with solid experience working as admissions officers for some of the most competitive private schools and universities. This inside information can give students an edge when applying to area colleges and universities like Georgetown University, which was recently ranked by Forbes Magazine as one of the top 20 research universities nationwide. I signed up for what I learned to be the most focused, efficient, and dedicated tutoring program in Potomac, MD. I hope other students get test prep and tutoring from this company. Applying to top private schools and boarding schools, I knew that I had to take the SSAT and ISEE exam. Working with the local tutors in Potomac, I was able to get into top schools like NCS, Maret, Sidwell Friends, and Georgetown Day school. Our son took Top Test Prep's SAT course in Potomac, Maryland. He increased his SAT scores by more than 300+ points. We love Top Test Prep! Learning centers – local and convenient for Potomac MD families. Top Test Prep provides local tutoring and test prep serving the Potomac, MD region, helping students prepare for private school exams (SSAT, ISEE, HSPT), college admissions (SAT, ACT), math, science, reading subjects and grad schools (LSAT, MCAT, DAT and GMAT). 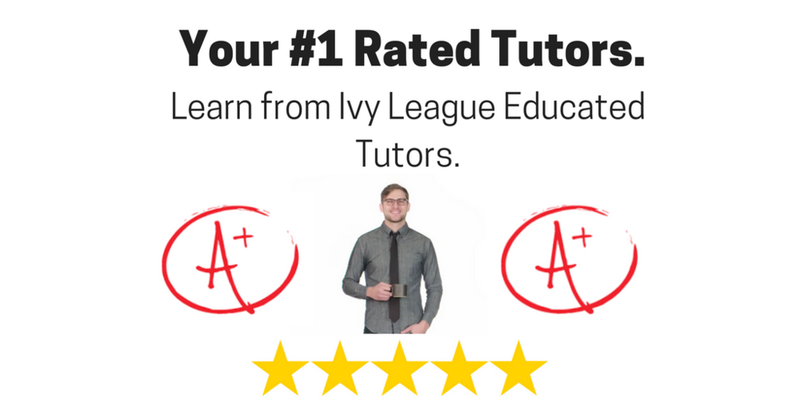 If you're looking for private tutoring information to help you get a better understanding of ways you can build confidence, do better in school, and improve exam scores, call to inquire about our tutoring rates. Our tutoring and test prep services company is dedicated to helping students - from middle school, high school, college and beyond for graduate schools. We also offer private tutoring jobs for instructors with teaching experience with math, reading, science, english and test prep like the SAT, ACT, MCAT, LSAT, ISEE, HSPT and SSAT.